Love is in the air this month, and so is the chance to win more than $150,000 CASH up for grabs in the Valentines Extravaganza Bingo Room! Win your share of $25,000 in GUARANTEED JACKPOTS and prizes – Deposit, play, and win, it’s that easy! 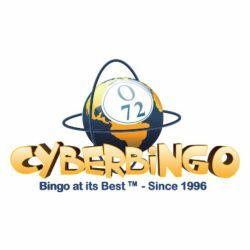 All bingo games play for a low cost of $0.50-$1 Cash a card and a Buy 30 get 5 Free offer that guarantees you will feel the love. Prebuys are Available! Not only can you win fantastic cash jackpots, but everyone with a deposit made in the last 7 days will be entered to Win Sweet EXTRA PRIZES in the Valentine’s Chat Host Giveaways. Don’t forget to visit the BingoAustralia Facebook Group to stay up-to-date with all of the latest bingo news and take part in fun contest. They will be spreading the love with lots of extra prizes as well. Cash prizes are seeking love all month long! Interested? – Prebuy your cards, there is a jackpot waiting for you at Bingo Australia.